Power plants are known for their large water footprint and very specific challenges when it comes to water management, particularly the relationship between the water quality and the reliability of the energy plant. With its large portfolio of membranes ranging from micro filtration to ultra and nano filtration, Pentair is well-equipped to help solve these challenges in a sustainable and economical way. Commonly, the Pentair membrane solutions are combined with more conventional solutions to address specific challenges and in certain cases, such as silica removal, the membranes are a single step solution. The combination of using a lot of water at high temperatures and with high pressure can result in power disruption, as a consequence of turbine damage caused by silica scaling. Silica, the dominant cause of a hard and glassy scale deposit on turbine blades, can and will cause damage of instability. Due to this scaling, the thermal transfer will be limited, causing heat transfer and thus limited effectiveness of the turbines. Boiler drums are a known bottleneck in power plants due to silica scaling, but also boiler feed water and steam lines are vulnerable from silica deposits. Changes in recent years to power production have made the processes more and more complex and several process steps have been added. Good control over the silica load in water has become crucial for plant continuity and to limit downtime. For optimal removal of silica at power plants, Pentair has developed a tight ultrafiltration membrane, the HFS 60 silica, applied in the X-Flow silica removal package. This tightUF membrane, with a tight molecular weight cut-off (MWCO) of 10.000 Dalton, is capable of removing up to 99.8% of colloidal silica from the water that goes into the steam production cycle of the power station. 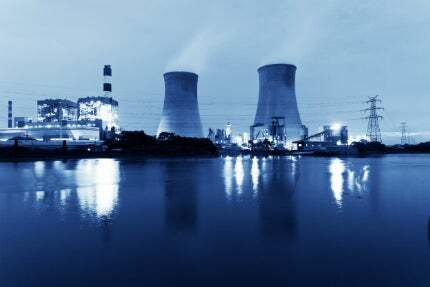 HFS 60 silica tight ultrafiltration (tightUF) membranes offer the robustness required for long lasting performance under demanding circumstances in thermal power plants. By efficiently removing colloidal silica, the high-pressure boilers are protected from scale deposits, which maximises plant performance and prevents turbine failure. In one single process step, HFS 60 silica membranes are capable of removing 99.8% of colloidal silica. This makes it possible to meet the silica limits for high-pressure boilers and thereby maximise boiler efficiency. Membrane separation is a reliable and robust technology to remove colloidal silica and can be installed in existing power plants as a retrofit or as an additional polishing step downstream of ion exchange. Aquatech is the world's leading trade exhibition on water treatment. At the forthcoming edition in Amsterdam RAI, which takes place from 3 to 6 November 2015, Pentair will present several breakthrough technologies in water purification. Pentair has gained expertise and experience in water purification, ranging from producing portable water solutions and treating wastewater, to pre-treating seawater. HFS 60 Silica tight ultrafiltration (tight UF) membranes offer the robustness required for long lasting performance under demanding circumstances in thermal power plants. By efficiently removing colloidal silica, the high pressure boilers are protected from scale deposits, which maximises the plant performance and prevents turbine failure. At the WEFTEC in Chicago, US, Pentair presented its tubular membrane modules equipped with Helix, the flux-enhancing technology that ushers in the next generation of membrane systems for treating industrial wastewater with high-organic content. At the forthcoming WEFTEC exhibition in Chicago, US, Pentair will launch its patented flux-enhancing Helix technology, available on all X-Flow tubular membrane modules. Pentair X-Flow has secured two projects in India for the removal of colloidal silica with its unique HFS 60 Silica tight ultrafiltration (UF) membrane module. The HFS 60 Silica is the first hollow fiber membrane module in a new line of low molecular weight cut off UF membranes that offers new treatment options. Applications include desalination pre-treatment, wastewater treatment in the textile, oil and gas industries, as well as in ultrapure water production in the semiconductor and pharmaceutical industries.